Fish Plant: we did not plant any catfish this week. We will be planting 1,000 lbs of trout on Wednesday 10/3/18 I am not sure which side we will take the plant. 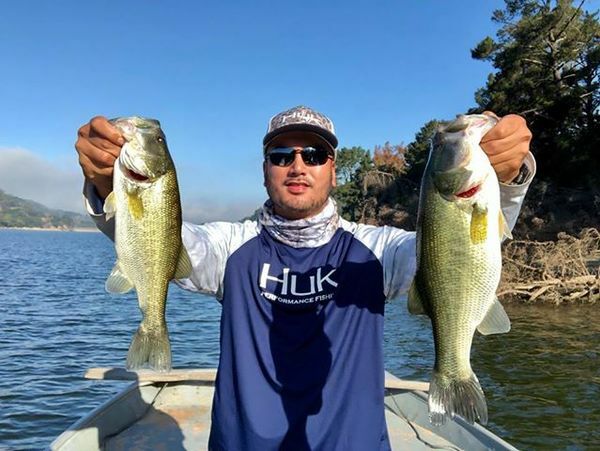 Jessie Pardilla of Daly City caught 10 Bass using KUD Spinner bait & Neko rigged senko on 9-22¬18. The Bass were all released. Larry Yee of Daly City caught an 18.5 lb catfish using chicken liver. No location given on 9-27¬18. Art and Dan Christopher of San Pablo caught 8 catfish using chicken liver fishing all over the lake on 9-28-18. Trevor Erickson of Oakland caught a 7 lb bass using a night crawler at the rock wall on 9-29-18. San Pablo Recreation area is open daily the month of October from 6:30am — 6:00 p.m. Boats having to be off the water at 5:00 p.m. The café is open, Saturday & Sunday from 10am to 4 Pm.